An eatery that’s "open 25 hours” now occupies the site of the worst nightclub fire in the country’s history. 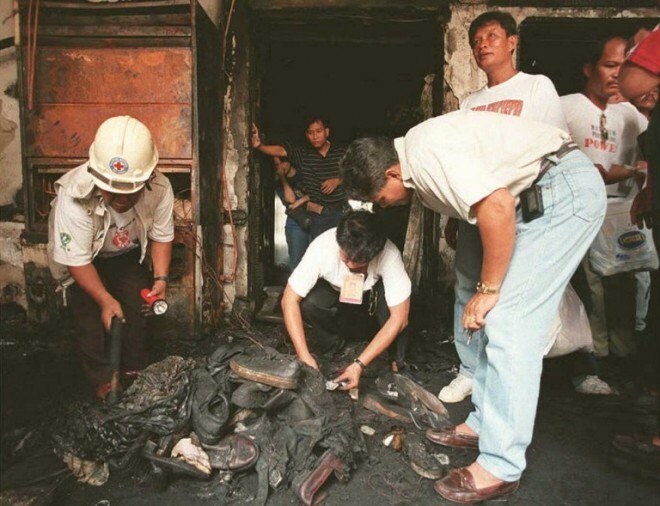 On March 18, 1996, 162 people—mostly teenagers and young adults celebrating their graduation—perished when a blaze engulfed the Ozone Disco along Timog Avenue in Quezon City. 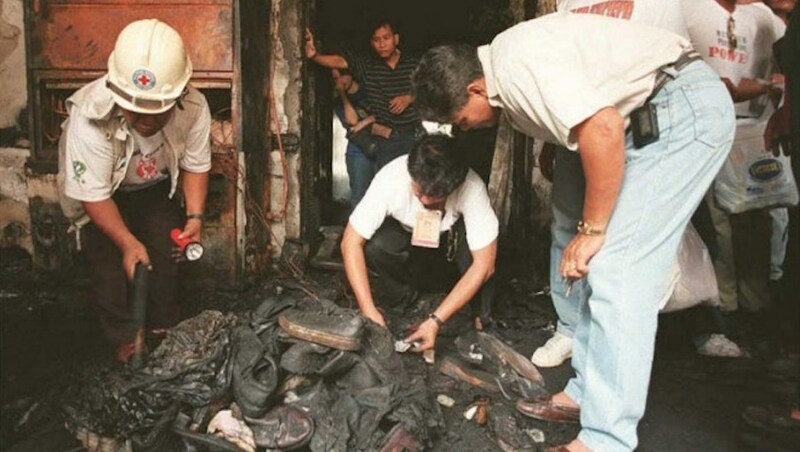 Almost 100 others were injured, many of them suffering second and third-degree burns all over their body. Bruan was 18 years old and a Mass Communications sophomore at the San Sebastian College in 1996. Dad was a soldier and Mom was an overseas Filipino worker. They lived in San Fernando, Pampanga, but the young Sherilyn insisted on relocating to Manila after high school. She describes herself as a bit of a rebel back in the day. On the evening of March 18 that year, a friend invited her to hang out at Ozone, one of the more popular clubs or “discos” at the time. Bruan had been there a few times before and readily said yes. She brought two of her cousins along. Together with another friend, the five of them drove out from her place in Sta. Mesa, Manila to the tiny disco near the Scout Jamboree Memorial Rotonda where Timog and Morato intersect in Quezon City. Bruan remembers they got there early, around eight or nine p.m., but the place was already packed, especially for a Monday night. “There was some kind of graduation, 50-percent-off promo,” she says. Bruan and her companions opened the door to the club, pushed past the throngs of people through the long hallway to another door, and finally managed to squeeze themselves inside. 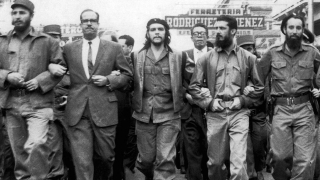 Various reports that have since surfaced indicated there were easily over 300 people pressed against each other in a space that was only meant to fit less than 100. Bruan can’t remember what song was playing when things started to happen, but she does remember “To the Beat of the Drums” by The Ethics played at some point during the night. The first sign that something was wrong came when Bruan noticed a spark on the ceiling above the DJ’s booth, near the kitchen and wash room. Initially she thought it was some kind of special effect. When the fire started creeping towards the ceiling above the dance floor, that’s when she knew it wasn’t normal. “It was starting to get bigger,” she says. “People were starting to go out. But I noticed that a lot of other people didn’t realize that something was wrong. They were just there standing or dancing. “I told my cousins and friends, we should go,” she adds. The group managed to reach the first door and the long hallway. By that time, people were rushing to get out. There was a stampede and Bruan lost her companions in the melee. Eyewitnesses and other survivors claim that security guards kept the second door—the one that led outside—closed, thinking there was some sort of riot or physical altercation happening inside. Reports that surfaced also said the second doors only opened inward, which proved to be a death trap for the wave of people pushing against it in their rush to get to safety. At some point, the electrical systems failed and Bruan and everyone else still inside Ozone were thrust into total darkness. Confused and desperate, they all still tried to make their way to the exit to push the doors open. 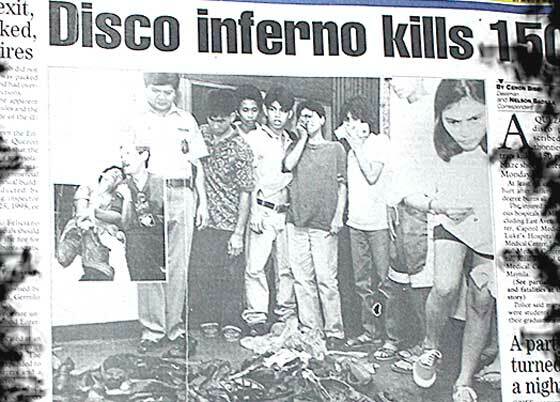 The headline of Manila Times when the tragedy happened. On the floor and gasping for air, Bruan says she remembers hearing moans and whimpers in the dark, people hurt and crying. But all that was running through her head was the determination to make it outside. 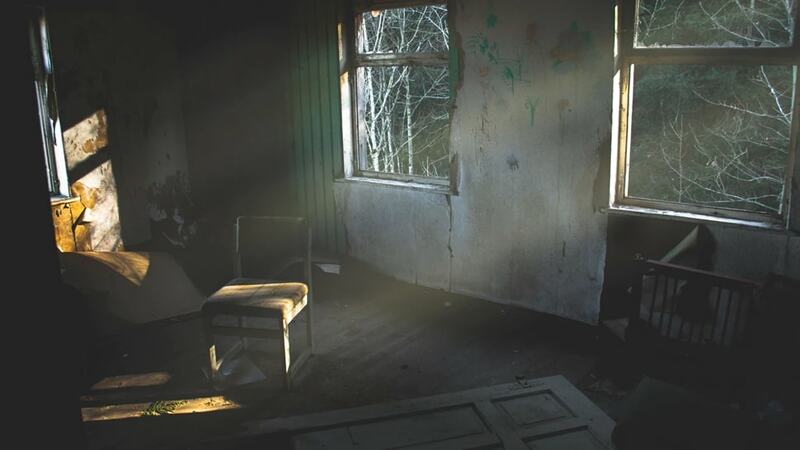 Bruan crawled through the hallway, over bodies that she didn’t know were alive or dead. Finally, she made it outside. She crossed the street and made her way to a group of people standing there and watching the events unfold. One of them pointed at Bruan and said she should probably get herself to a hospital. “And I even said, 'Why? I don't feel anything.'" It was only then that Bruan looked at herself. She was wearing a sleeveless top that had all but melted away, pretty much leaving her with only her bra on. Her hair was singed and her arms and back was severely burned. Miraculously, Bruan’s cousins and friends all made it out alive. With the help of one of their friends who was outside buying cigarettes when the fire happened, they made it to the De los Santos Medical Center along E. Rodriguez Avenue. They were supposed to go to St Luke’s, which was nearer, but Bruan said one of her friends surmised that it was probably going to be full of victims of the fire. At De Los Santos, they were the first victims of Ozone to be treated. “At the ER, that’s when I felt the pain. That’s when I realized that I really got burned." “It was really painful. After a day, the skin began to blister. My back got burned, too. It got stuck to the linen and had pus. 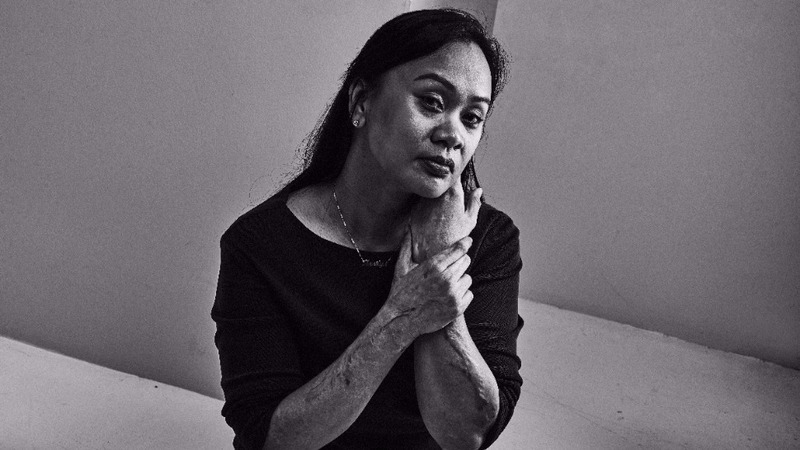 We all had to be isolated because our burns were prone to infection." One of Bruan’s cousins suffered third-degree burns on her hands and arms, requiring a skin graft. 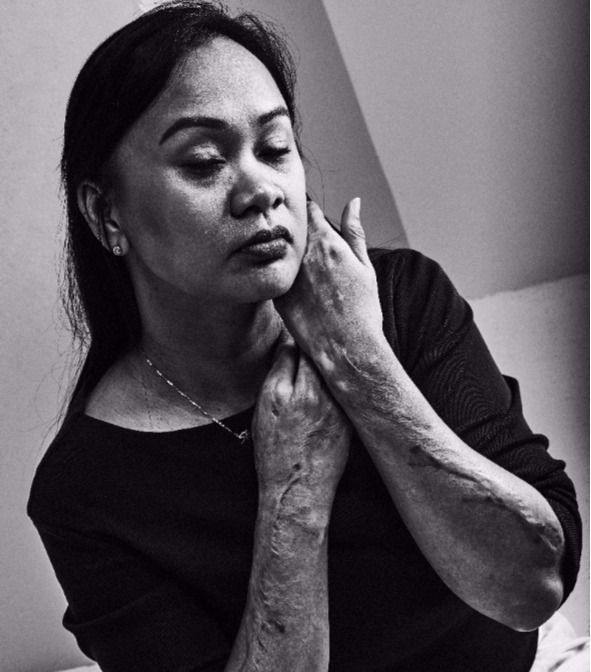 Bruan herself suffered second-degree burns on about 30 percent of her body, mostly on her hands, arms and back. She apologized profusely to her father, who came all the way from Pampanga. Her mother, who was in New York, fainted when relatives first tried to call her to let her know about what happened. Television news that constantly showed reports of the tragedy caused her stress, so Bruan asked nurses to turn the TV off. But the worst was happening inside her head. “I heard noises,” she says. “The stampede. The events came back to you. The people who were left behind. There were a lot of sleepless nights. You start thinking about what happened to you. You got burned." The trauma was not just physical, but mental and emotional. For months, Bruan couldn’t go inside enclosed spaces like movie theaters. She avoided huge crowds and skipped concerts and other social events. And every time she heard the wailing sirens of ambulances or fire trucks, fear and panic would grip her all over again. Bruan got a job at the TV broadcast network right after college, and, ironically, she was assigned to work as a researcher for a public affairs show that featured real-life emergency situations like natural calamities, medical siutaions, and yes, even fires. She may have managed to rein in the psychological trauma, but the physical scars on Bruan’s hands and arms remain. For a time, their existence contributed to feelings of resentment and self-pity. “I was a bit vain back then,” she admits. “When you’re young, you know what your assets were. When I got burned, my world crashed. I kept thinking, ‘What’s going to happen to me? I’m ugly.’"
In 2001, five years after the incident, the owners of Ozone Disco were convicted of criminal charges of reckless imprudence resulting in multiple homicide and multiple serious injuries. When Bruan was first told of the news, she says something happened inside her. Perhaps it was acceptance or closure. Or perhaps it was something else. 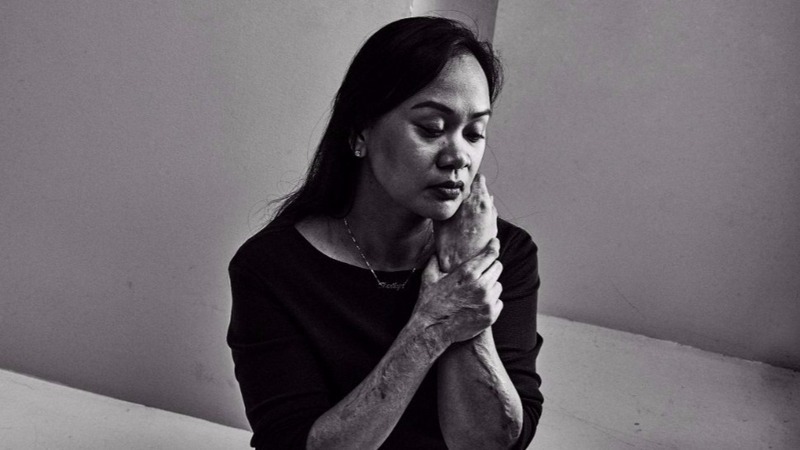 Whatever it was, it helped her get over the self-consciousness caused by her scars. She started wearing sleeveless blouses again. Bruan is one of the lucky ones. She says she has met and has interacted with many of the other victims through a support group called Justice for Ozone victims. Some of them have more severe injuries and even more horrific experiences, including a friend of hers who lost his girlfriend inside the disco that night after he tried to go inside and save her. The man also suffered burns on his head, severely disfiguring his face. The site of the old Ozone Disco back in 2008. But life goes on for Bruan. She can watch movies now and can go inside clubs and other enclosed and crowded places again. She still has memories of the incident, but constantly has to remind herself that what happened was extraordinary, that it’s not something that happens every day. 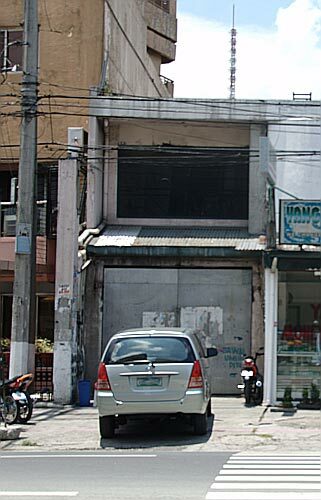 This is why she can drive past that old spot along Timog now and look at it as just another place. But good luck trying to get her to eat at that “25-hour” place. “No way!” she says. “I mean, it hardly has any effect on me when I drive past it, but no, you’ll never get me to eat at that place. I can't do it." Parts of this interview have been translated from Filipino.